It’s ironic that though we live in a time when information was never more plentiful that misinformation, fallacies and myths persist. No doubt that lead-out sentence could launch a discussion on myriad subjects, but looking at a relatively benign one – vehicle fuel economy – people still entertain notions that are simply not true. And whether misconceptions are really benign is also in question because despite allegations to the contrary, ignorance is not always bliss. In the case of cars, the automobile has been called the second-most expensive purchase many will make, and marketers also have something to gain or lose depending on what you may think about saving money on fuel. This holdover from the good old days persists, but modern cars are designed to drive within a few seconds of being started. Letting them sit and warm up may be convenient – like in the winter to defrost and warm the interior – but this does not save gas. A car gets 0 mpg as long as it is sitting. It is true an engine must reach an optimal operating temperature for best fuel economy, but manufacturers often recommend gently taking off, and letting the engine warm up as it’s carrying you down the road. It will warm faster if you do this while avoiding heavy loads until the engine temperature comes up. If your car is 4 or 7 or even 10 years old, is it starting to become less efficient? Should you therefore think about replacing it? Well, you may want to just to get a more-efficient newer car, but as for whether it has dropped from original spec, assuming it’s maintained, it should be OK.
“Vehicles that are 10 or even 15 years old will experience little decrease in fuel economy if properly maintained,” says the EPA. This also used to be true before the advent of newer technologies, and the idea hangs on. The most efficient little non-hybrid car sold is the 40 mpg Mitsubishi Mirage. A Toyota Prius c hybrid actually is a chart topper at 50 mpg, but many bigger and more powerful cars are also competitively efficient. Fuel saving technologies besides hybridization, including direct injection, turbocharging, low rolling resistant tires, and even – despite the VW scandal – diesel engines. About half of the 2016 model year cars on the EPA’s top 10 list are midsized or large cars or wagons, as a matter of fact. Most are hybrids. Not far behind the Prius c and well ahead of the Mitsu is the 2016 Chevy Malibu Hybrid projected to get 47 mpg. It is a large-ish midsized sedan – much more roomy, comfortable and safe than a subcompact conventional econobox. Actually most passenger cars and light-duty trucks are subject to testing, but federal law rules out testing for vehicles over 8,500 pounds. This means no official fuel economy rating is required for trucks that can do duty for passengers like the Ford F250/350, Chevrolet/GMC 2500/3500, and Dodge 2500/3500 vehicles. These exceed this weight limit and are not tested. Do you hear that? That’s the imaginary loud buzzer for Wrong Answer! It is no longer a given that manuals trump automatics for fuel economy. Advanced automatics may now net the same or better fuel economy than a vehicle of the same type equipped with a manual – though there are exceptions here as well. The type of transmission used in most hybrids and now being used to optimize conventional cars – CVTs (continuously variable transmissions) – also tend to do better. Drivers however have pushed back, and some enthusiasts have said they can’t stand CVTs or simply prefer the feel and control of a manual. Even the new dual-clutch automatics that may be manually shifted have experienced vocal detractors now that these have been on the market several years. And, a well-operated manual may still yield great results but the watchword is how well it is operated. Meanwhile automakers have largely moved away from offering manual stick shifters in types of cars that used to have the option. The advent of stop-start technology ought to be proof enough this is a myth. In case you did not get the memo however, idling may use a quart to a half-gallon of fuel per hour at a cost of 1-2 cents per minute. One should thus turn off the engine when sitting still, except when in traffic or waiting in line. New engines start very well and efficiently, especially when warmed. “You will probably experience no benefit from using premium fuel over regular,” says the EPA to anyone whose engine is not specified to be premium-only, or in the case of engines that don’t otherwise knock on regular. Otherwise, if it runs on regular, use regular. 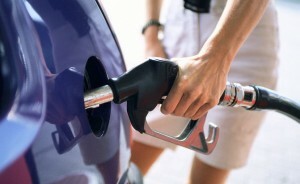 The extra octane of premium and plus do not improve economy says the EPA, but they will cost more to fill up. Add-on aftermarket devices you may buy and install, despite claims by their marketers, are not vouched for by Uncle Sam – specifically the Federal Trade Commission. Same goes for stuff you find at the auto parts store, or what not that promises better mpg if you dump it in with your fuel. If you or someone you know has personally tried something and feels differently, subjective impressions may allow for that, and this is a controversial subject and a huge aftermarket business. For its part, the feds urge away from believing these claims. The only modifications the EPA will sign off on are comprehensive full conversions that meet all EPA certification standards. This week’s Wetzel Auto Blog DIY post comes from autoblog.com!